Ingenious to the max. 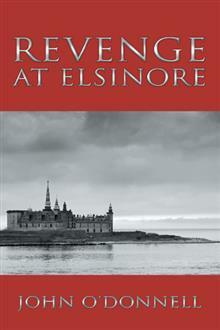 A retelling of Nordic history which melds real-life events with Hamlet. Not being familiar with the struggle for Sweden's independence from Denmark, I found myself consulting Wikipedia at frequent intervals, becoming increasingly impressed at the ingenuity that married these struggles with Shakespeare's play, putting an alternative interpretation on the events that we know.However, the book was slightly spoiled (emphasis on "slightly") for me by the fact that this book was published by a vanity press, and that the editing failed to find a fair number of homonyms (e.g., "waste" for "waist"), though generally the writing and layout was of a high standard.It's not a book for everybody, but anyone who enjoys a little stroll through the byways of history (at least these are byways for most English-speakers) and has at least a nodding acquaintance with the play will enjoy this. * goodreads giveaway *An imaginative retelling of Hamlet - the royal houses of Scandinavia intertwined with the Protestant reformation. I thoroughly enjoyed the author's ability to impart such a tale; he did so with intrigue while keeping the reader interested. The only part that bogged me down was remembering the names given to the characters versus the names of the roles in Shakespeare's play. I'll admit I was confused as it has been a while since I read Hamlet. However it was great how he was able to link everyone. I received this book as a Goodreads giveaway. I thought this would be a fascinating read. It may be but because of the style of writing I did not finish this book. If you love reading about Martin Luther you may enjoy this book.